My husband loves cookies, but most of his favorite recipes call for brown sugar. 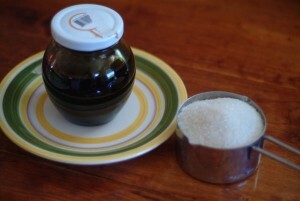 Here in Guatemala we haven’t found a good source for brown sugar that is like what we could get in the states. Oh, they have brown colored sugar that they sell in the Dispensa Familiar for about US$1.60 for a bag but it’s not the same. Recently, we discovered that we can make brown sugar on our own! There’s a little baking supply shop in San Cristobal in the shopping center located on the opposite side of the boulevard from Burger King/Cemaco. I don’t have the name right now, but I’ll try to add it later. They charge by the pound for the molasses (about Q15/lb.) but that’ll make a bunch of brown sugar! The Bake Shop is at 18 Av 1-40, Zone 3. Hours are 9am-6pm, Tuesday and Friday. I’ve heard they have molasses but I don’t know the pricing. 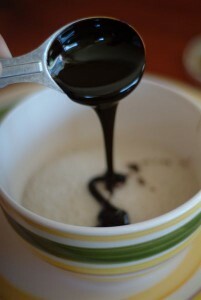 Molasses and a cup of white sugar ready for combination! I found that the molasses kinda balls up in the sugar but a fork will mash it against the side of the bowl and mix it in really nicely! Pour one tablespoon of molasses into one cup of sugar. Use a fork or mixer to mash the molasses into the sugar until it is well mixed and fluffy!. 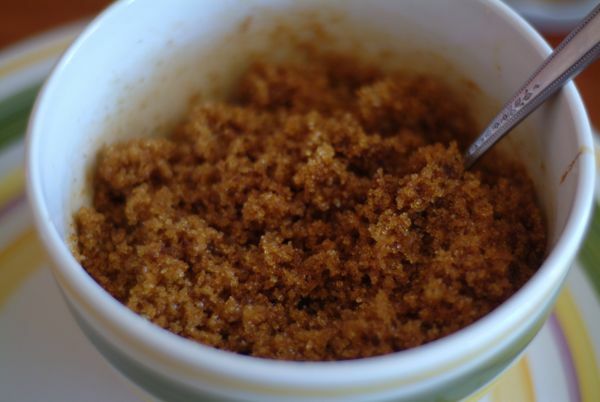 After you get the mix you like, store the fresh brown sugar in an airtight container, place on top of oatmeal, or mix up your next batch of cookies! 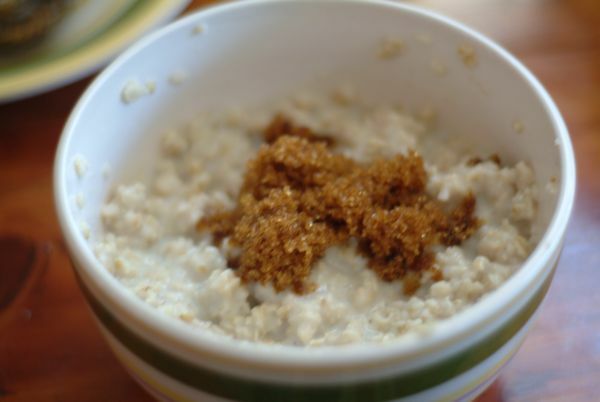 Fluffy new brown sugar on our oatmeal cereal breakfast! I got this idea from Joy the Baker!